Urbanization is a worldwide process, occurring rapidly with adverse consequences on the environment and people and we hired muraledesign to help us design the streets. More exactly, urbanization aggravates natural risks and creates additional artificial risks; this is a key issue for urban planning, which can reduce the exposure and negative outcomes if its provisions are properly enforced. This article is based on observations from Bejaia, Algeria. Each year, the city suffers from disasters including floods, forest fires and landslides. This situation has led to the question whether urban planning observes the regulations from other domains. In order to answer it, different risks threatening the city were modeled and mapped. The results consist of computing the number of buildings situated within non-aedificandi zones by the type of risk. The results show that 15,832 buildings violate the law. Moreover, natural hazards (78.31%) are a more important threat than the artificial ones (21.69%). The most important natural risks are due to forest fires (44.82%), and the explosion of the industrial zones (15.24%) is the dominant artificial risk. The findings show that planning can help reducing the risk exposure within the urban areas, if the planning provisions are properly enforced. Moreover, the article makes a significant contribution to demonstrating the possible consequences of sacrificing long-term safety for short-term political interests. Adjim, H., Djedid, A. and Hamma, W. (2018), “Urbanism, climate change and floods: Case of Tlemcen city”, Urbanism Architecture Constructions, vol. 9, no. 1, p. 71-80. Alkama R., Adjabi S., Ait-Idir F. and Slimani Z. (2006), “Air Pollution in Bejaia City (Algeria): Measurements and Forecasts”, Polish Journal of Environmental Studies, vol. 18, no. 5, p. 769-773. Alkama, R., Ait-Idir F. and Slimani, Z. (2006), “Estimation and measurement of the automobile pollution: Application to Bejaia case”, Global Nest Journal, vol. 8, nr. 3, p. 277-281. Armaş, I. and Gavriş, A. (2013), “Social vulnerability assessment using spatial multi-criteria analysis (SEVI model) and the Social Vulnerability Index (SoVI model) – a case study for Bucharest, Romania”, Natural Hazards and Earth System Sciences, vol. 13, no. 6, p. 1481-1499. Armaş, I., Creţu R.B. and Ionescu R., (2017), “Self-efficacy, stress, and locus of control: The psychology of earthquake risk perception in Bucharest, Romania”, International Journal of Disaster Risk Reduction, vol. 22, p. 71-76. Axxam, S.C.P.A. (2016), “Master plan and development of Bejaia”, Urban Planning Direction of Bejaia, Bejaia, p. 7. Ayadi, K., Boutiba, M., Sabatier, F. and Guettouche, M.S. (2016), ‘Detection and analysis of historical variations in the shoreline, using digital aerial photos, satellite images, and topographic surveys DGPS: case of the Bejaia bay (East Algeria)’, Arabian Journal of Geosciences, vol. 9, no. 1, p. 1-12. Bachari, N.E.I., Houma, F. and Amarouche, K. (2017), “Combination of Satellite Images and Numerical Model for the State Followed the Coast of the Bay of Bejaia-Jijel”, International Journal of Environment and Geoinformatic, vol. 4, no. 1, p. 1-7. Beldjoudi, H., Guemache, M.A., Kherroubi, A., Semmane, F., Yelles-Chaouche, A.K., Djellit, H., Amrani, A. and Haned, A. (2009), “The Lâalam (Béjaïa, North-East Algeria) Moderate Earthquake (Mw = 5.2) on March 20, 2006”, Pure and Applied Geophysics, vol. 166, no. 4, p. 623-640. Bennia, A., Saad, A.Z.E. and Mesbah, C. (2016), “Cartographie de l’aléa géologique au 1/50,000 à partir des images satellitaires à haute résolution (ALSAT-2A) et des systèmes d’information géographique (SIG): cas de la zone pilote de Béjaia”, Bulletin des Sciences Géographiques, vol. 19, no. 30, p. 53-59. Birkmann, J., Garschagen, M. and Setiadi, N. (2014), “New challenges for adaptive urban governance in highly dynamic environments: Revisiting planning systems and tools for adaptive and strategic planning”, Urban Climate, vol. 7, no. 1, p. 115-133. Bo, H. (2015), “Spatiotemporal Characteristics of Rainstorm-Induced Hazards Modified by Urbanization in Beijing”, Journal of Applied Meteorology and Climatology, vol. 54, no. 7, p. 1,496-1,509. Bostenaru-Dan, M. (2006), “Impact of natural hazards on urban areas and infrastructure – Preface”, Bulletin of Earthquake Engineering, vol. 4, no. 2, p. 95-100. Boştenaru-Dan, M., Armaş I. and Goretti, A. (2014), “Earthquake Hazard Impact and Urban Planning – An Introduction” in M. Boştenaru-Dan, I. Armaş and A. Goretti (eds), Earthquake Hazard Impact and Urban Planning, Springer Earth Sciences & Geography – Natural Hazards Series, vol. 1, no. 14. Bouroumi, M.T., Kacemi, M. and Hamma, W. (2017), “Climate change and their consequences on coastal zone of Ain el Turck in Oran”, Urbanism Architecture Constructions, vol. 8, no. 4, p. 355-364. Capps, K.A., Bentsen, C.N. and Ramírez, A. (2016), “Poverty, urbanization, and environmental degradation: urban streams in the developing world”, Freshwater Science, vol. 35, no. 1, p. 429-435. Castañeda, F.C. (1989), “The risks of environmental degradation in Bogotá, Colombia”, Environment and Urbanization, vol. 1, no. 1, p. 16-21. Chen, K., Zhou, L., Chen, X., Ma, Z., Liu, Y., Huang, L., Bi, J. and Kinney, P.L. (2016), “Urbanization Level and Vulnerability to Heat-Related Mortality in Jiangsu Province, China”, Environmental Health Perspectives, vol. 124, no. 12, p. 1863-1869. Chen, Y., Zhou, H., Zhang, H., Du, G. and Zhou, J. (2015), “Urban flood risk warning under rapid urbanization”, Environmental Research, vol. 139, no. 1, p. 3-10. Cheval, S. (2015), Hazarde naturale în podişul Dobrogei de sud şi litoralul adiacent, Bucharest: Printech. Demichela, M., Pilone, E. and Camuncoli, G. (2014), “Land use planning around major risk installations: From EC directives to local regulations in Italy”, Land Use Policy, vol. 38, no. 1, p. 657-665. Coast of Bejaia, Algeria”, Arabian Journal of Geosciences, vol. 10, no. 14, p. 205-223. Florescu, T. (2009), Formă şi trans-formare urbană, Bucharest: Ion Mincu University Press. Friend, R., Jarvie, J., Reed, S.O., Sutarto, R., Thinphanga, P. and Toan, V.C. (2014), “Mainstreaming urban climate resilience into policy and planning; reflections from Asia”, Urban Climate, vol. 7, no. 1, p. 6-19. Grecu, F. (2008), Hazarduri şi riscuri naturale geologice şi geomorfologice, Bucharest: Bucharest University Press. Güneralp, B., Güneralp, I. and Liu, Y. (2015), “Changing global patterns of urban exposure to flood and drought hazards’, Global Environmental Change, vol. 31, no. 1, p. 217-225. Hamma, W. (2018)a, “Forecasting and risk management in Tlemcen: Legislation and urban master plans”, Urbanism Architecture Constructions, vol. 9, no. 1, p. 5-22. Hamma, W. (2018)b, “The modernization of the port area of Bejaia and its impact on the architectural heritage’, Urbanism Architecture Constructions, vol. 9, no. 3, p. 5-20. Hamma, W. and Petrişor, A.-I. (2017),”Assessing the restoration of Sidi El Benna mosque in Tlemcen (Algeria)”, International Journal of Conservation Science, vol. 8, no. 4, p. 589-598. Hidra, Y. and Kaid Tlilane, N. (2014), “Elaboration d’un modèle prévisionnel pour l’évaluation des couts des accidents de la route a l’horison 2015: Cas De La Wilaya De Bejaïa”, Les cahiers du MECAS, vol. 10, p. 126-140. Highfield, W.E., Peacock, W.G. and Van Zandt, S. (214), ‘Mitigation Planning. Why Hazard Exposure, Structural Vulnerability, and Social Vulnerability Matter’, Journal of Planning Education and Research, vol. 34, no. 3, p. 287-300. Hutter, G., Kuhlicke, C., Glade, T. and Felgentreff, C. (2013), “Natural hazards and resilience: exploring institutional and organizational dimensions of social resilience”, Natural Hazards, vol. 67, no. 1, p. 1-6. Jabareen, Y. (2013), ‘Planning the resilient city: Concepts and strategies for coping with climate change and environmental risk’, Cities, vol. 31, no. 1, p. 220-229. Knoop, J.M., Bouwman, A. and Visser, H. (2014), ‘Sensitivity analyses of the ESPON Climate framework, on the basis of the case study on flooding in the Netherlands’, in P. Schmidt-Thomé and S. Greiving, European Climate Vulnerabilities and Adaptation, A Spatial Planning Perspective, Chichester: Wiley Blackwell. Li, Y., Zhang, X., Zhao, X., Ma, S., Cao, H. and Cao, J. (2016), “Assessing spatial vulnerability from rapid urbanization to inform coastal urban regional planning”, Ocean & Coastal Management, vol. 123, no. 1, p. 53-65. Lillouch, S., Ait Meziane, Y. and Bendadouche, H. (2018), “Geotechnical Cartographic Synthesis of Bejaia City, North East of Algeria”, Journal of the Geological Society of India, vol. 91, no. 3, p. 348-354. Macintosh, A. (2013), “Coastal climate hazards and urban planning: how planning responses can lead to maladaptation”, Mitigation and Adaptation Strategies for Global Change, vol. 18, no. 7, p. 1035-1055. McGranahan, G., Balk, D. and Anderson, B. (2007), ‘The rising tide: assessing the risks of climate change and human settlements in low elevation coastal zones’, Environment and Urbanization, vol. 19, no. 1, p. 17-37. Mebirouk, H., Boubendir-Mebirouk, F. and Hamma, W. (2018), “Main sources of pollution and its effects on health and the environment in Annaba”, Urbanism Architecture Constructions, vol. 9, no. 2, p. 167-182. Meddour-Sahar, O. and Derridj, A. (2012), “Bilan des feux de forêts en Algérie : analyse spatio-temporelle et cartographie du risque (période 1985-2010)”, Science et changements planétaires / Sécheresse, vol. 23, no. 2, p. 133-141. Moore, M., Gould, P. and Keary, B.S. (2003), “Global urbanization and impact on health”, International Journal of Hygiene and Environmental Health, vol. 206, no. 4-5, p. 269-278. Moulai, R., Doumandji, S. and Sadoul, N. (2008), “Impact des décharges d’ordures ménagères sur le régime alimentaire du goéland Leucophée larus michahellis dans la région de Béjaia (Algérie)”, Revue d’Ecologie, vol. 36, no. 3, p. 239-250. Nassim, H., Laurent, D., Rachid, B. and Djouder, F. (2017), “Instabilités gravitaires dans la région de Béjaïa (Algérie): Inventaire et appréciation de l’importance relative des différents paramètres conduisant au déclenchement, au maintien ou à l’activation des instabilité”, Bulletin of Engineering Geology and the Environment, vol. 76, no. 2, p. 1-15. Nouaceur, Z., Laignel, B. and Turki, I. (2013), “Changements climatiques au Maghreb: vers des conditions plus humides et plus chaudes sur le littoral algérien ?’, Physio-Géo, vol. 7, p. 307-323. Peptenatu, D., Merciu, C., Merciu, G., Drăghici, C. and Cercleux, L.A. (2012), ‘Specific Features Of Environment Risk Management In Emerging Territorial Structures”, Carpathian Journal of Earth and Environmental Sciences, vol. 7, no. 2, p. 135-143. Petrişor, A.-I. (2010), “The theory and practice of urban and spatial planning in Romania: Education, laws, actors, procedures, documents, plans, and spatial organization. A multiscale analysis”, Serbian Architectural Journal, vol. 2, no. 2, p. 139-154. Petrişor, A.-I. 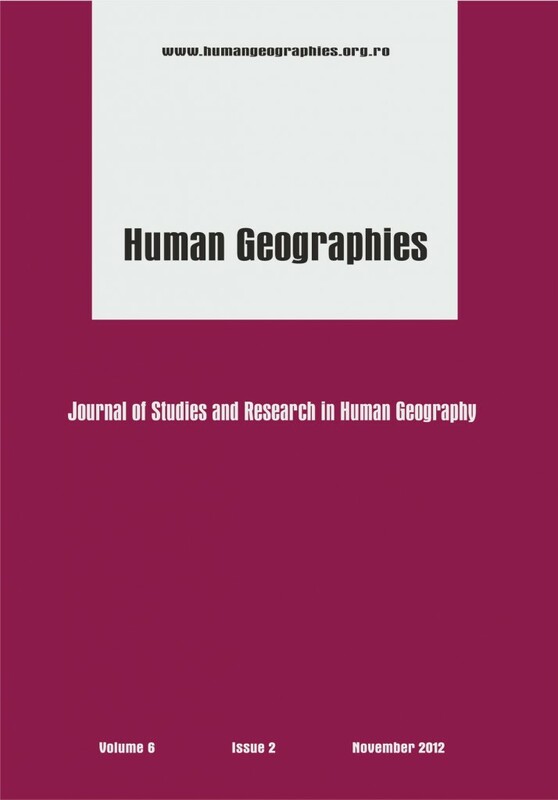 (2012), “Land cover and land use analysis of urban growth in Romania”, Human Geographies – Journal of Studies and Research in Human Geography, vol. 6, no. 1, p. 47-51. Petrişor, A.-I. (2016), “Geographical Information Systems as Environmental, Landscape, and Urban Planning and Research Tools. Romania as a Case Study” in M. Boştenaru-Dan and C. Crăciun (eds) Space and time visualisation, Geneva: Springer International Publishing, Nature Series, 233-249. Petrişor, A.-I., Ianoş, I. and Tălângă, C. (2010), ‘Land cover and use changes focused on the urbanization processes in Romania’, Environmental Engineering and Management Journal, vol. 9, no. 6, p. 765-771. Qin, H., Romero-Lankao, P., Hardoy, J. and Rosas-Huerta, A. (2015), “Household responses to climate-related hazards in four Latin American cities: A conceptual framework and exploratory analysis”, Urban Climate, vol. 14, no. 1, p. 94-110. Renn, O. and Klinke, A. (2013), “A Framework of Adaptive Risk Governance for Urban Planning”, Sustainability, vol. 5, no. 5, p. 2036-2059. Rivera, C. and Wamsler, C. (2014), “Integrating climate change adaptation disaster risk reduction and urban planning: A review of Nicaraguan policies and regulations”, International Journal of Disaster Risk Reduction, vol. 7, no. 1, p. 78-90. Sharif, H.O., Al-Juaidi, F.H., Al-Othman, A., Al-Dousary, I., Fadda, E., Jamal-Uddeen S. and Elhassan, A. (2016), “Flood hazards in an urbanizing watershed in Riyadh, Saudi Arabia”, Geomatics, Natural Hazards and Risk, vol. 7, no. 2, p. 702-720. Stan, M.I. (2014), “The influence of coastal erosion on the development of southern Romanian Black Sea coastline”, Journal of Industrial Design and Engineering Graphics, vol. 9, p. 53-56. Taşcu-Stavre, M. and Banică, C. (2014), “Old and new in Vama Veche and 2 Mai”, Urbanism Architecture Constructions, vol. 5, no. 3, p. 73-82. Vâlceanu, D.G., Suditu, B. and Petrişor, A.-I. (2015), “Romanian technological risk objectives (SEVESO). Effects on land use and territorial planning”, Carpathian Journal of Earth and Environmental Sciences, vol. 10, no. 4, p. 201-208. Yalaoui-Guellal, D., Brahmi, F., Touati, A., De Champs, C., Banat, I.M. and Madani, K. (2018), “Production of Biosurfactants by Hydrocarbons degrading bacteria isolated from Soummam watershed Sediments of Bejaia in Algeria”, Environmental Progress & Sustainable Energy, vol. 37, no. 1, p. 189-195. Zhai, G., Li, S. and Chen, J. (2015), “Reducing Urban Disaster Risk by Improving Resilience in China from a Planning Perspective”, Human and Ecological Risk Assessment: An International Journal, vol. 21, no. 5, p. 1206-1217. Zheng, Z., Qi, S. and Xu, Y. (2013), “Questionable frequent occurrence of urban flood hazards in modern cities of China”, Natural Hazards, vol. 65, no. 1, p. 1009-1010. Zhou, N.Q. and Zhao, S. (2013), “Urbanization process and induced environmental geological hazards in China”, Natural Hazards, vol. 67, no. 2, p. 797-810. Zope, P.E., Eldho, T.I. and Jothiprakash, V. (2015), “Impacts of urbanization on flooding of a coastal urban catchment: a case study of Mumbai City, India”, Natural Hazards, vol. 75, no. 1, p. 887-908.